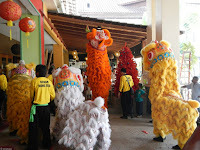 As promised, here is the post about Chinese New Year Celebrations from Langkawi. (All Photos here) and if you want to see all photos with Chinese music, click here, just to get you into the mood! 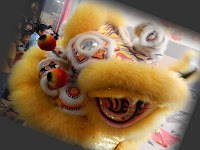 The Chinese New Year started on the 23rd of January and it lasts 15 days. 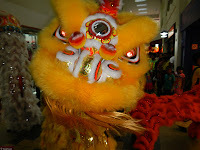 In this time the Island is full with tourists and all the shop prices go up whether it is for butter, beer, cooking oil or chocolate Nevertheless, we found out there was to be a performance of Chinese Dragon Dogs in the Fair Mall, one of three shopping centres on Langkawi and as we had never seen anything like it live, we went along to take a look. 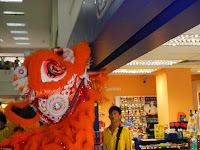 The Dragons (4 of them, one gold, one white,one yellow and one orange) arrived outside the Mall and acted fearfully of the firecrackers hanging from the ceiling which were set off to stop their entrance. All this was accompanied to loud drum beats. The noise and smoke was unbelievable. Once these had stopped they stormed in to take some offerings which were laid out for them on the floor, consisting of Tangerines, Lettuce and beer. They picked it up and shared it with the people around watching and covering their ears. Fiona was one of the lucky few to have a Tangerine offered by the Golden Dragon (must be for good luck) which was quite funny, as he came up with the Fruit in his mouth looking at Fiona, but as she did not know what to do, the guy in the Dragon costume shouted:"Take it" so Fiona did. I mean, you do not just take something out of the Dragons mouth, in a culture where you do not know whether this is right or wrong. Shame it wasn`t a can of beer though :) The Dragons all proceeded into the Mall and took offerings from shops, hung up over their entrances or laid out on chairs and tables. Again it was fruit, Lettuce, beer and now envelopes containing money. 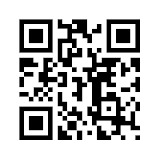 Bit of bribery for good luck might help I suppose. This took about an hour and was really good. (see 1st Video below) Then there was a break before the music (loud drum rhythm) started again and two guys in a Dragon costume started a fantastic performance, dancing on wooden poles, set up in the Fair Mall main hall (see 2nd video below) The whole experience really gave you an Asian feel and we are glad to have had the chance to see it.